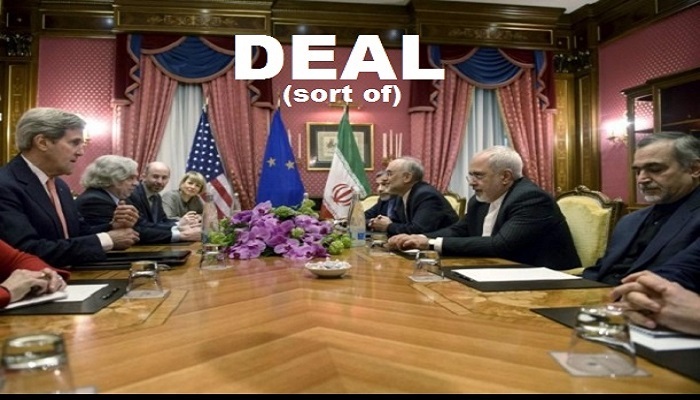 Iran-When Is a Deal Not a Deal? The Sunday opinion pages were filled with widely divergent views on the proposed “framework” agreement announced between the P5+1 group of nations and the Iran regime; ranging from cautious optimism to vehement denunciation. Oddly, the range of opinions detailed specific points allegedly within the announced framework, but were wildly different and contrasting. It almost appeared that two agreements came out of Lausanne, Switzerland and in fact two agreements did emerge which is why members of Congress are condemning it on one hand and the regime is busy organizing street rallies for the cameras to make it look like celebrations in the streets of Tehran. The only joint document issued publicly was a statement from the regime’s foreign minister, Javad Zarif, and Federica Mogherini, the European Union foreign policy chief, which was an underwhelming seven paragraphs long. 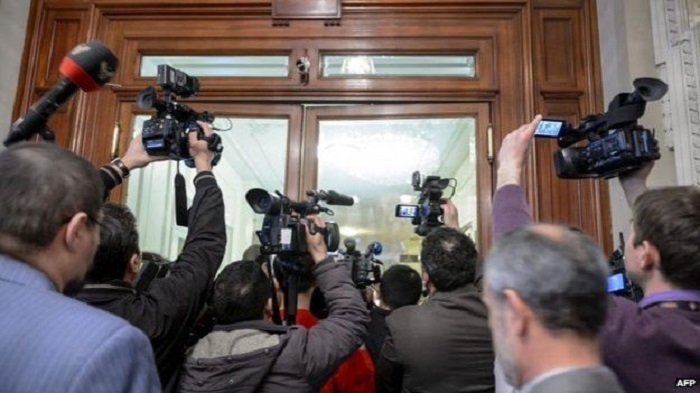 It contained a dozen so-called “parameters” meant to guide the next three months of talks. Both the U.S. and Iran regime delegations released more detailed statements on the agreement which showed striking differences from both sides, betraying the lack of uniform consensus negotiators and the regime sought to portray publicly. Of special note where differences in the expectations of how quickly economic sanctions would be lifted, as well as no descriptions on the type of research the regime will be allowed to undertake on centrifuges during the next 10 years of the proposed agreement; a pretty significant omission which has already killed three prior rounds of talks. Other differences between the American and Iranian versions include an American contention that Iran had agreed to shrink its stockpile of uranium to 300 kilograms, but does not appear in the Iranian regime version. 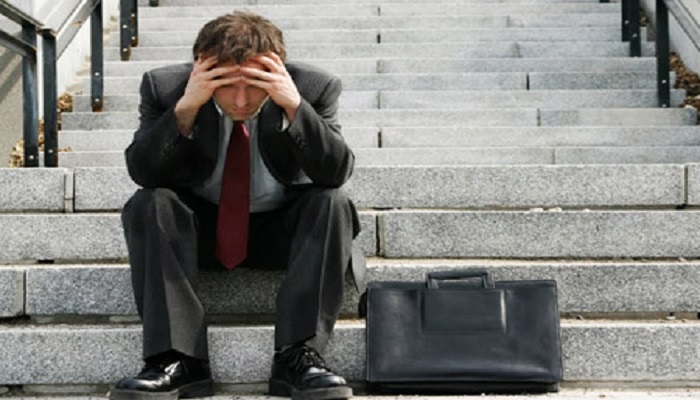 The biggest difference is the speed at which economic sanctions will be lifted. The regime text calls for “immediately” lifting sanctions when the agreement is implemented while the American version describes a step-by-step process. The fact that Zarif took to Twitter after both sides statements were issued and he dismissed the American framing of the outstanding issues as mere “spin” accurately portray the unspoken truth about this agreement, which is there is in fact no agreement at all. Zarif pounded that fact further when appeared on Iranian state television complaining to Secretary of State John Kerry that the American statement contradicted what was agreed to both sides. With agreements like this, you’d hate to see what would happen if they actually disagreed with each other publicly. There has been much speculation that these regime denunciations are designed to provide political cover for mullah’s President Hassan Rouhani as a hedge against so-called “hardliners” in the government, which is another fabrication since all power and authority over foreign policy agreements and treaties vests wholly and solely in the regime’s top mullah, Ali Khamenei. It will likely end up on the trash heap of history as the three previous joint statements issued promising agreement on the broad outlines with only “technical” details to be worked out. In each case, a final agreement failed because the regime does not want anything detailed or specific put on paper. The mullahs also want to retain all its’ nuclear infrastructure, but most importantly, they want economic sanctions lifted because the hammer blows on the economy caused by falling oil prices and heavy costs related to their funding of four separate proxy wars now in Lebanon, Syria, Iraq and Yemen are pushing the regime to the brink of collapse. Unless the regime can pull the wool over the world’s eyes and convince everyone this is indeed a deal, then it risks failing again and for the mullahs, the stakes might mean their survival. As predicted here, this framework deal is nothing more than a stalling tactic to allow all parties to claim a victory without really putting anything on the line and buy time to go back to the bargaining table again until the June 2015 deadline. If the details can be worked out. If the Iranian regime can be trusted to implement it. If inspectors are allowed unfettered access. If Iran doesn’t cheat. Never in the annals of diplomacy has the word “If” been used so often by so many people to describe such dramatically different viewpoints. But critics of the so-called agreement, including Iranian dissidents closest to the reality on the ground, all chimed in and for them, no one was using the word “If.” For them, the reality of the Iran regime’s past history and track record led most of them to abandon any doubts and solidly believe the regime has no intention of honoring this agreement. In the following weeks there will be plenty of commentary, detailed analysis and criticism of this proposal and the vague loopholes in it large enough to drive a battleship through, but what is worth reflection now is how we got here. The one essential truth is that punishing economic sanctions, coupled with a revolution in oil production driving down global oil prices brought the Iranian regime to its knees and put its ruling mullahs right in the cross hairs of the same kind of discontent among Iran’s people that drove the last revolution. The fragile hold the mullahs have was shown to be tenuous even as they ratcheted up the crackdowns at home and proxy wars abroad in an effort to suppress dissent and provide distractions for the world to take attention away from how precarious their hold on power can be. Since 2002, sanctions and their effectiveness at bringing the regime back to the bargaining table again and again are undisputed. The regime has worked long and hard to create perceptions of Iran’s rise as a regional power a force to be reckoned with. It is a charade and illusion that has helped its cause at the bargaining table by forcing some nervous Western diplomats to capitulate to Iranian demands in a blatant effort of appeasement all too reminiscent of British Prime Minister Neville Chamberlain’s notorious “Peace in our time” boast. Which brings us to the last and most crucial point about this agreement, which is it is not an agreement unless Iran’s top cleric says so and given his most recent statements he might be smelling blood in the water to the extent the West has caved on many regime demands. Would Khamenei tank this framework in order to make another stab at getting everything he wants which is namely an immediate and complete lifting of all economic sanctions against Iran? Khamenei knows that the secret to preserving the mullahs’ power is to lift the sanctions to demonstrate that the mullahs can do more than arrest, beat, torture and hang people. It stands to reason though that with all of the “ifs” involved in this framework, we’re likely to be hashing out the same issues again in just a few more months. Regime Lobbyist NIAC Deep in U.S. Govt. The news coming out of Switzerland reads exactly the same as it did last year and the year before that, with negotiators saying there has been progress and agreement reached on the pathway to move forward to finalize a deal. It’s Groundhog Day every day when it comes to the Iranian regime as it patiently waits for external pressures to keep building on the West to give in on its demands without giving anything up of substance. Ironically the Iranian regime is desperate to ensure no details are leaked since it knows there would be global condemnation if everything was ever put on paper and put online. But through leaks and news stories we know the regime is on the verge of retaining its enrichment capacity through its centrifuges, they will be protected in a deep military bunker in Fordow, they get to keep their reactors, ballistic missile technology and a lifting of economic sanctions, as well as some ramp up in their activities near the end of the deal. Providing the political cover and PR spin for this process over the past several years has been the loyal work of the National Iranian American Council, whose front-lobbyer is Trita Parsi and other staffers have been near constant fixtures in Lausanne hotel lobby bars, lounges and hallways plying their wares akin to the world’s oldest profession. The ties between NIAC and the Iranian regime has been long established, including through a recent defamation lawsuit Parsi filed against a journalist, lost and in the process was forced to reveal sensitive emails and documents showing a much closer relationship between NIAC and high-ranking regime officials, including regime Foreign Minister Javad Zarif. Secretary of State John Kerry repeated the Zarif line in an interview with ABC’s “This Week” earning three Pinocchios from The Washington Post which judged the claim dubious, but it was another indication of the efforts the regime was going to ensure it controlled the media narrative even while the American public and Congress grew more skeptical as sectarian violence throughout the region boiled over under Iran’s aggressive manipulation. But the depth of NIAC’s efforts to manipulate the U.S. negotiating approach was revealed in a piece on Breitbart.com which revealed Sahar Nowrouzzadehm the National Security Council Director for Iran was a former staffer for NIAC as late as 2007 before joining the NSC in 2014. The most galling revelation was her appearance on secure conference calls with President Obama and other top policy advisers including Vice President Joe Biden, Secretary Kerry, Secretary of Defense Ashton Carter, Secretary of Energy Ernie Moniz and National Security Adviser Susan Rice discussing negotiations with the Iranian regime. The fact that a former staffer of a lobbying group for the Iranian regime is allowed to serve in a sensitive policy position as the U.S. strikes a nuclear deal raises some skepticism to why the U.S. has been so willing to accommodate Iranian regime’s demands. It is in a way like allowing industry lobbyists to serve in the regulatory agencies overseeing them. All of which raises an even larger issue. 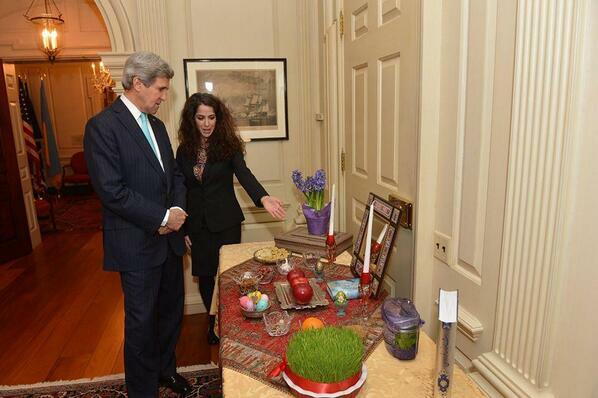 Has Nowrouzzadeh maintained contacts with Parsi and her former colleagues at NIAC? Has there been any insight or understanding to any journalists supportive of the regime, as a result? Any classified information discussed? The furry of questions arising from this revelation is likely to raise concern for the Congressional investigators busy as they examine whatever deal eventually gets publicly released out of Switzerland, but what is worrying is that NIAC has been allowed to work tirelessly to cover for the regime and spread its influence deep into the heart of the U.S. government. In 1789, Benjamin Franklin wrote “in this world nothing can be said to be certain, except death and taxes.” We might add meeting a deadline for any negotiation with the Iranian regime to that list as the P5+1 talks in Switzerland ended without a framework agreement by a March 31st deadline; a deadline created when the November 2013 Joint Plan of Action was extended itself to November of 2014. A more cynical person might conclude Iranian Foreign Minister Javad Zarif wanted to extend talks to April Fools’ Day just so he could dash world hopes for a nuclear agreement on a more auspicious date. What is clear about these talks is they follow the exact same pattern as the three previous rounds of talks that have taken place. Between October of 2013 and today, the P5+1 have held three rounds of talks and at each point, agreements were announced to extend talks, claiming common ground and a pathway to agreement, but each subsequent session ended in failure. 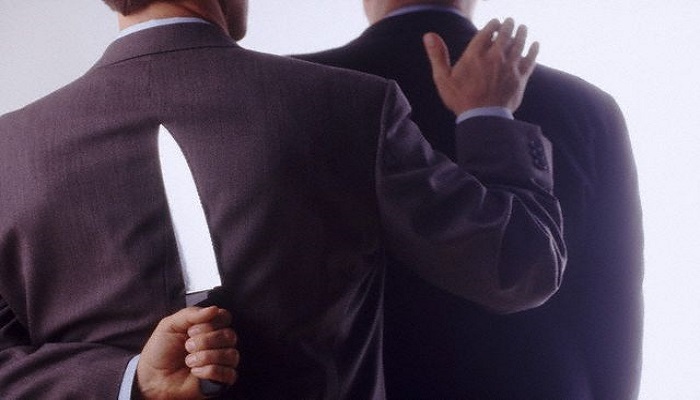 But remember, this pattern of deception has been going on with the Iranian regime dating back to 2002 when the National Council of Resistance of Iran, one of the leading dissident groups against Iran’s mullahs, revealed the existence of secret nuclear facilities built at Natanz and Arak that had escaped notice by intelligence agencies and international inspectors. Since that revelation, the Iranian regime had signed separate agreements with the International Atomic Energy Agency to restrict its activities and submit to inspection and in every case, broke those agreements shortly thereafter. It is clear though that the success or failure of these talks rests on two very basic facts: 1) All Iranian decisions are ultimately up to the regime’s top mullah, Ali Khamenei; and 2) How desperate is the West to close a deal, even a horrific one? That is the equation at play here and the one that Khamenei has been carefully measuring for the past decade. He has nudged along hopes of a deal, while at the same time giving up practically nothing, but gaining more advantage as time went by. Iran achieved significant advancements on warhead design and triggering explosives at its Parchin military facility. It built and operated continuously thousands of centrifuges during talks, even adding newer and more advanced ones. It has developed and improved on ballistic missile technology bought from North Korea to deliver a nuclear warhead. Incredibly, all of this occurred while it discussed nuclear peace. 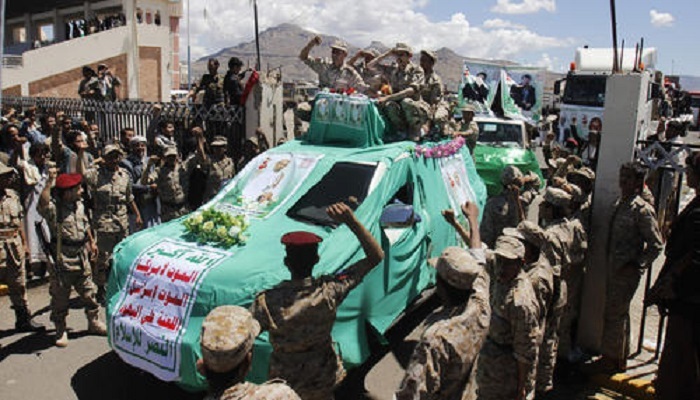 At the same time Khamenei has maneuvered proxies to make gains in Lebanon, Syria, Iraq and Yemen and play the U.S. against itself throughout the region and building on the false perception that Iran was a force to be reckoned with. The whole house of cards almost collapsed last year with the plummeting price of crude oil, draining regime coffers while it was shoveling money out the door to support Hezbollah, Houthi rebels and Shiite militia. Unfortunately the JPOA agreement saved the mullahs’ bacon by releasing billions in frozen funds. Now Khamenei sees a final opportunity to snooker the world again and take advantage of a perceived desperation by the White House to close a foreign policy win as a legacy achievement; which is why he is insisting on an immediate and full suspension of all U.N. sanctions against Iran once an agreement is signed and an allowance for Iran to ramp up its nuclear activities near the end of the monitoring period. If we can also believe news reports from the Associated Press and others, the P5+1 has already agreed to allow the regime to continue to operate thousands of centrifuges in its Fordo nuclear reactor buried deep in a secure bunker. Why a civilian nuclear program needs to operate in a military bunker is obviously not a point of concern it seems. But what this ultimately does show is that even as the regime and its allies such as the National Iranian American Council spin mightily away, the one thing they cannot overcome is the abstinence of Khamenei and his determination that the regime gets everything it wants. Khamenei’s arroghbance is likely to prove the regime’s downfall as the belief has grown in Congress and among the American people that the Iranian regime cannot be trusted and anything put down on paper is worthless given the regime’s past track record; which is why even though a joint communique is likely to be issued today detailing how both sides have found much common ground and will work towards the June 30 deadline, that too will prove to be a failure like so many others and we’ll be right back here saying the same thing on July 1st. Will March 31st bring about a capitulation to Iran’s mullahs or will common sense and courage prevail in the face of naked aggression and terror? We will soon find out, but what is clear is that the Iran regime’s lobbying and PR allies are working overtime in a last ditch attempt to save the mullahs from what could be another defeat at the bargaining table after three fruitless years of talks. Rosie Gray of BuzzFeed filed an interesting and illuminating story on the lobbying and spinning efforts being put on by operatives of the National Iranian American Council. 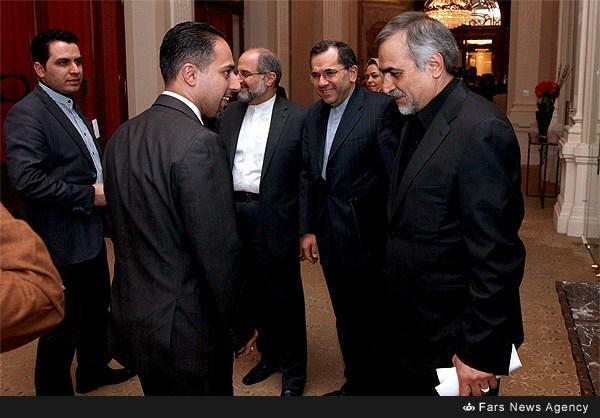 Well-known regime apologists Trita Parsi and Reza Marashi have been near constant figures in the hallways, bars, lounges and lobbies of the hotels where talks have been taking place in Switzerland. With all the time they’ve been spending there, you might think they’re just trying to garner more frequent flyer miles, but their ambitions are deadly serious; trying to hoodwink the international media into believing Iran’s mullahs are a lovable bunch and to gloss over the rapid conquest of four of Iran’s neighbors by Iranian proxies and terror groups. All of which strikes many as more evidence of the close coordination between the NIAC and its masters from Tehran who are obviously supplying them with talking points, key details about the negotiations and key messages to deliver to the media. It’s an ironic situation since the Obama administration has worked hard to keep details from leaking and providing any specific information to Congress or the American people. 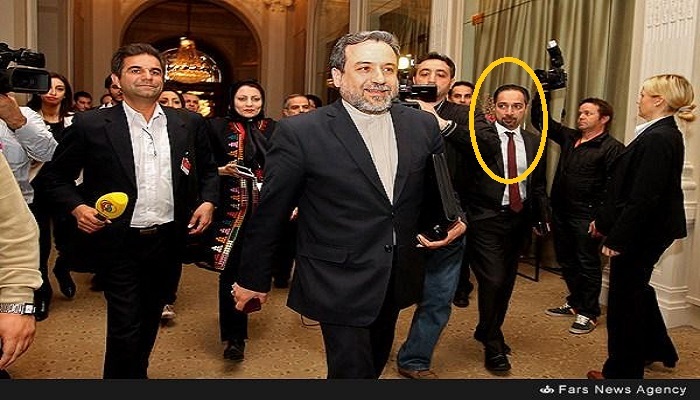 But the façade of the regime’s public face took another hit when Amir Hossein Motaghi, a close media aide to Hassan Rouhani, mullah’s president, sought political asylum in Switzerland after traveling there for the talks. Motaghi took the opportunity to go on an opposition channel, to explain his decision as well as shine a light on the techniques the regime uses in its PR campaign, including sending accredited Iranian journalists who are in fact agents of the regime ensuring only approved news is sent back home for domestic consumption. So while Parsi and Marashi continue to prowl the hotel bars to ply their wares on journalists, it is worth noting that their efforts in the U.S. have largely fallen on deaf ears as Congress prepares to engage the White House if a framework comes out these talks. A veto-proof, bipartisan majority in the House has already signaled its intent to scrutinize any deal and withhold lifting any economic sanctions until it reviews every last detail. 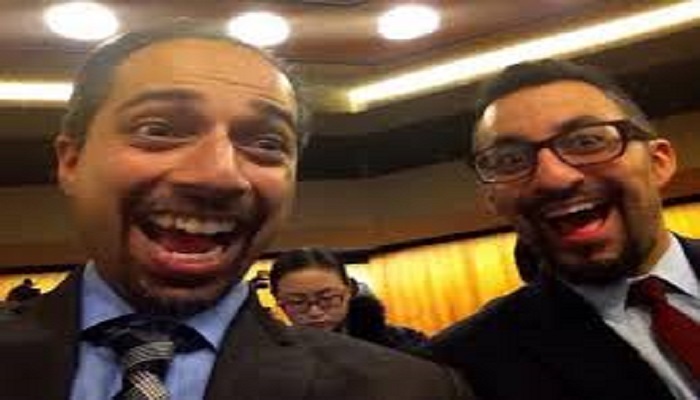 Iran’s mullahs know this might be their final last gasp for relief from economic sanctions which is why they are keeping Parsi and Marashi strolling the bars and hallways like a pair of cads looking to pick up coeds after closing hours.